India-born British industrialist Sanjeev Gupta plans to invest $10 billion (Rs 67,500 crore) in the Indian market in the next couple of years, including for buying bankrupt assets in steel and auto. 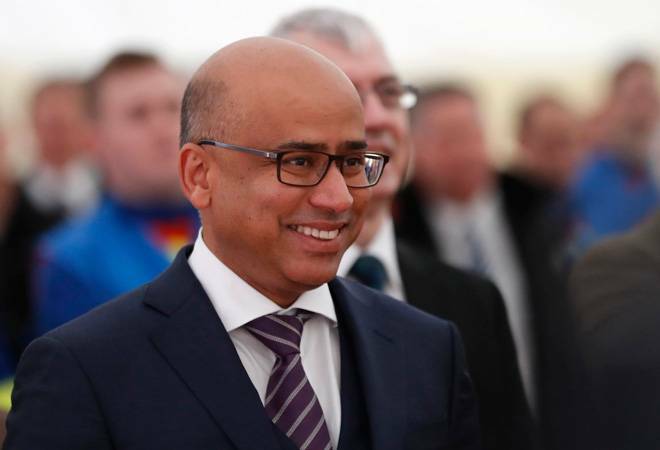 India-born British industrialist Sanjeev Gupta plans to invest $10 billion (Rs 67,500 crore) in the Indian market in the next couple of years, including for buying bankrupt assets in steel and auto. His firm Liberty House has submitted resolution plans for Bhushan Power and Steel, Amtek Auto, ABG Shipyard, Adhunik Metaliks among others and looks to invest $5 billion for taking over the stressed assets, if they win. Gupta will spend another $5 billion for buying assets outside the distressed lot and building financial services business, largely corporate lending, in the country. Gupta told Business Today that the businesses of Liberty House, which are largely built through acquiring sick assets in the UK, Australia, Scotland, France and the US and turning it around, will generate a revenue of $15 billion this year, resulting in a cash flow of $500 million. The company will raise 50-70 per cent of its investment capital in various assets in India as debt from foreign banks, largely, he said. Apart from ArcelorMittal, which submitted bid for Essar Steel, Liberty House is the one foreign entity which targets to enter Indian market making use of the new bankruptcy law--- Insolvency and Bankruptcy Code (IBC). However, both of them got stuck at the eligibility hurdles as the world's largest steelmaker had stakes in two other bankrupt companies--- Uttam Galva and KSS Petron, while Liberty had pending financial liability of around $2.8 million with Exim Bank. Under Section 29A of IBC, the bidder can be disqualified for their own loan default and association with the defaulter. Gupta said that the company has cleared off the earlier unclaimed loan portion about a couple of weeks back and made it eligible under the bankruptcy law. Liberty House had submitted a resolution plan for Bhushan Power and Steel in February after the bid submission deadline and it became a legally contentious issue since resolution professional refused to accept. The bid finally opened under the directions from National Company Law Tribunal's (NCLT) last month. However, Tata Steel filed an appeal in the National Company Law Appellate Tribunal (NCALT), challenging the order. Tata Steel is the highest bidder for Bhushan asset, followed by JSW Steel. Liberty House is the highest bidder for Amtek, offering about Rs 4,334 crore. The second highest bidder for the auto components manufacturer is Deccan Value. It was the ABG Shipyard's resolution professional first found out the Exim Bank dues of Liberty House, which was the sole bidder for the assets. Since the dues are paid off, it is up to creditors to decide on the offer from Liberty that is Rs 5,600 crore and payable after the fifth year. In Adhunik, Liberty has emerged as the highest bidder, offering higher price than the rival bidder Maharashtra Seamless, a DP Jindal Group company. The Exim dues issue came up there also, but resolution professional has sought additional time to NCLT for reevaluating the eligibility of Liberty in the changed scenario. The matter will come up for hearing on May 11.